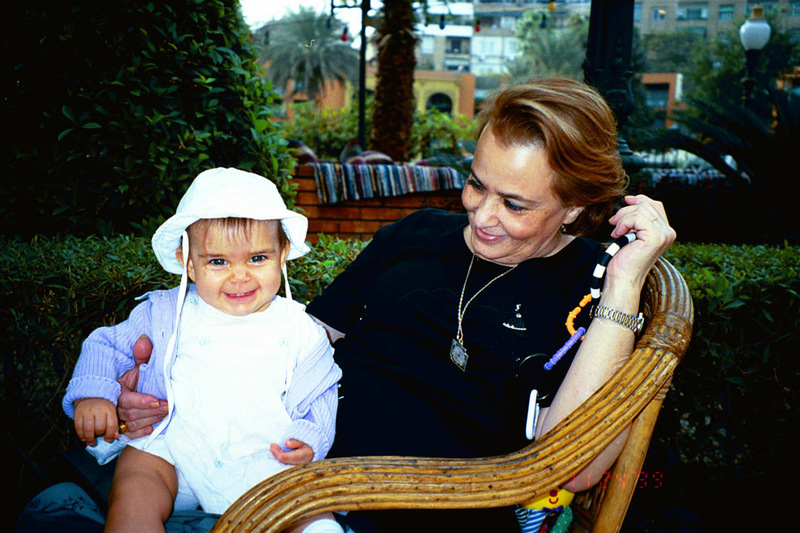 When we visit Mojo’s family in Cairo, we always stay at the Marriott on Zamalek island. The Marriott was once the palace of Khedive Ismail. It opened in 1869. We like the hotel for its location and the garden. During our stays, we usually eat every meal on the terrace. It’s the place to meet and greet your friends. At the entrance are two marble lions. Susan and the boys always climb up on the lions when we enter the hotel. And as it is in the Middle East, no one ever scolds them. 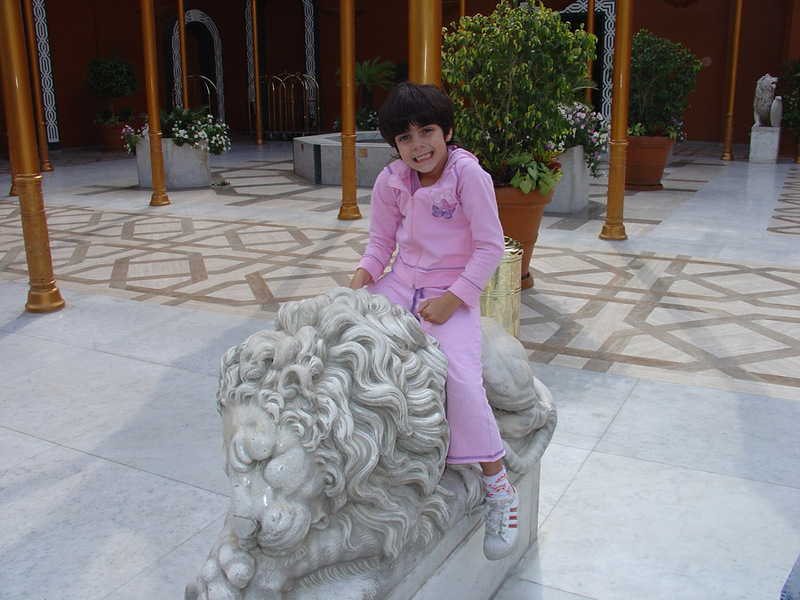 Susan riding the marble lion. We are off to Cairo for a few days. I will let you know -whoever you are – what she says this year.